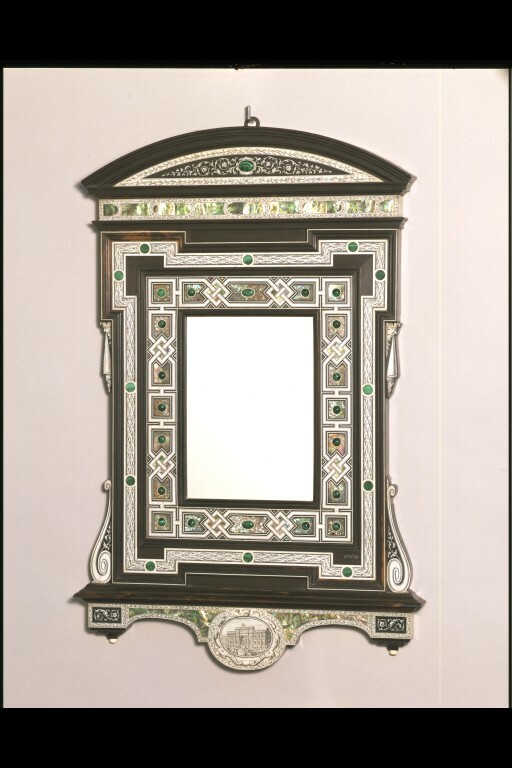 Giovanni Battista Gatti was a cabinet-maker who specialised in reviving the luxurious inlay techniques that were fashionable during the Renaissance in several Italian cities. 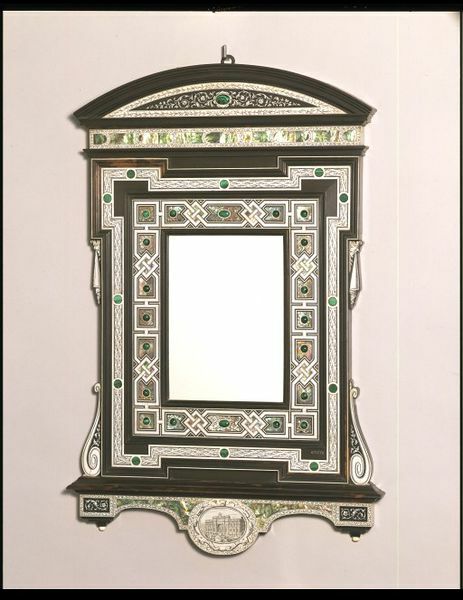 He perfected the use of ivory and mother-of-pearl or shell, with ebony or other strongly coloured woods, and small accent pieces of hardstones such as the malachite used on this piece. 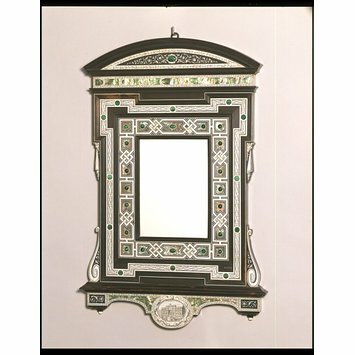 The authorities of the South Kensington Museum (as the V&A was known until 1899) bought this mirror directly from the 1878 Paris Exhibition, at which Gatti exhibited.